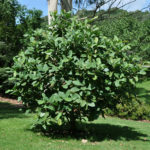 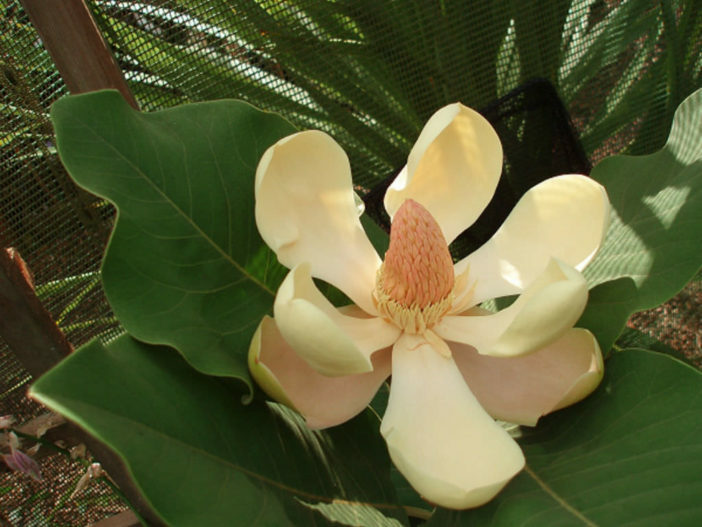 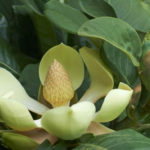 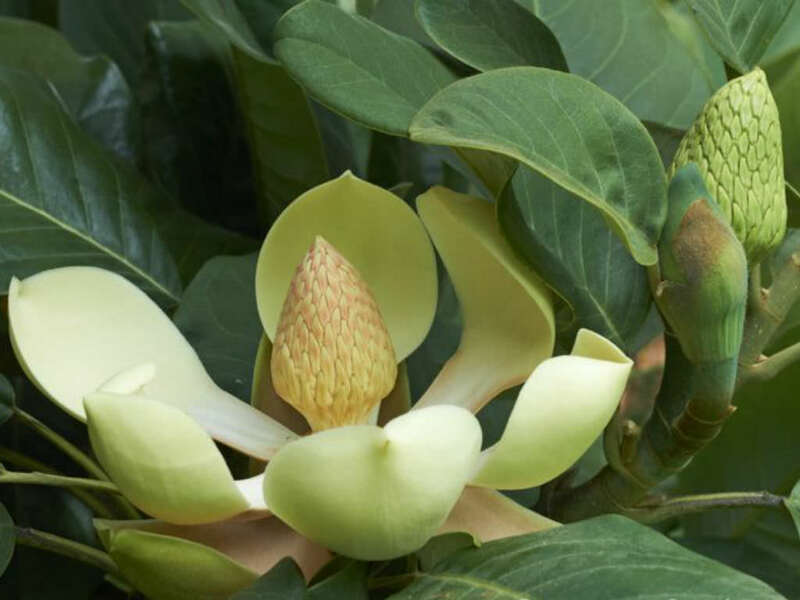 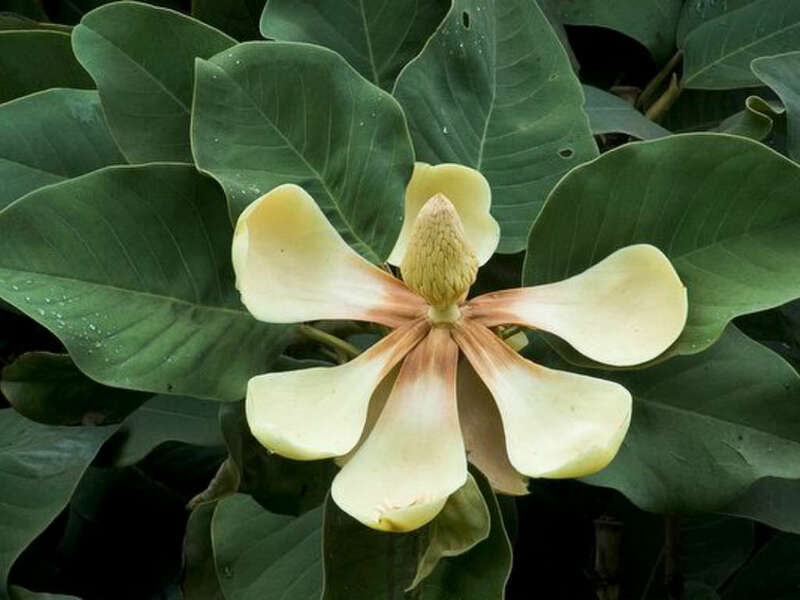 Magnolia delavayi is a large, rounded, evergreen shrub or tree up to 45 feet (15 m) tall, with broad, leathery leaves, up to 14 inches (35 cm) long. 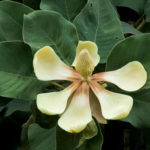 The flowers are fragrant, cup-shaped, creamy-white and up to 8 inches (20 cm) wide. 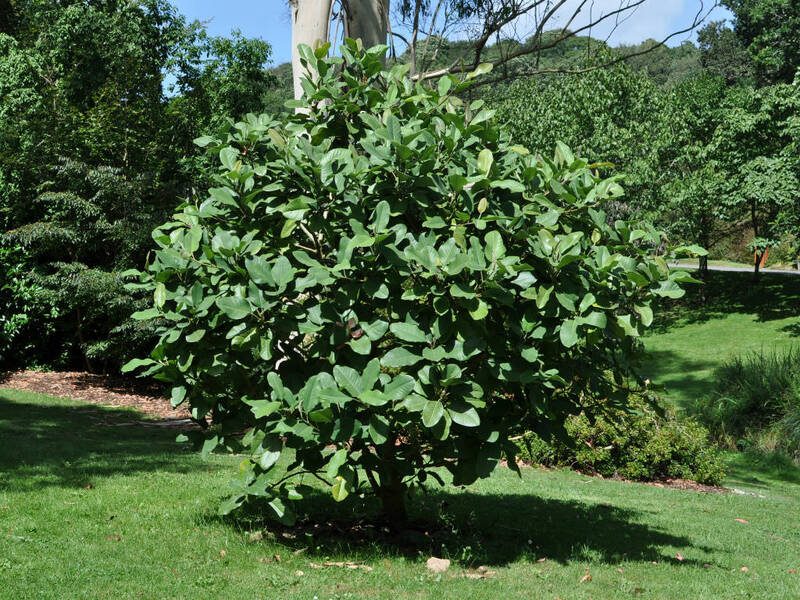 USDA hardiness zone 8a to 9b: from 10 °F (−12.2 °C)) to 30 °F (−1.1 °C).